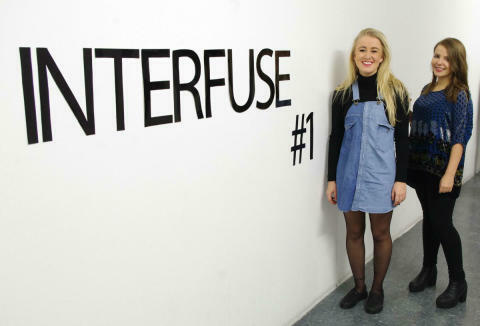 Sophie Halliday, a third year at Northumbria, worked in partnership with a Newcastle University student for the second year running for ‘INTERFUSE #2’. The exhibition series aims to bring students from the two Universities together and offers the opportunity for them to experiment together creatively ahead of their degree shows later this year. Open to the public, the exhibition features new and emerging artists from both universities and visitors can look forward to having their perceptions challenged with exciting and innovative artwork. 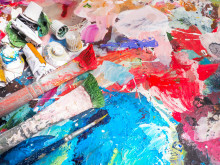 INTERFUSE is also a unique opportunity to take part in insightful discussions with students from both universities against a backdrop of mixed media artworks. The exhibition will take place on Tuesday 8 March 2016 from 6-9pm at the Pattern Shop, Hoults Yard. The following artists will be exhibiting: Martha Buttress and Sophie Halliday (joint-curators), Annabel Niekirk, Louie Pegna, Alice Rout, Matt Newsholme, Alice O’Hagan, Nikki Lawson and Matthew Young (collaboration). This project has been supported by the Newcastle Alumni Association Initiative Fund. £2 on the door entry with refreshments provided.